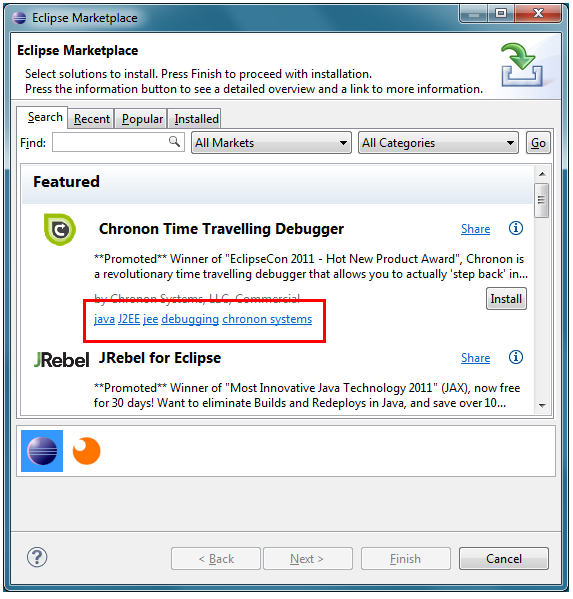 MPC is included in all of the packages available from the Eclipse download page (except the Classic Package). It is accessible from the Help menu. 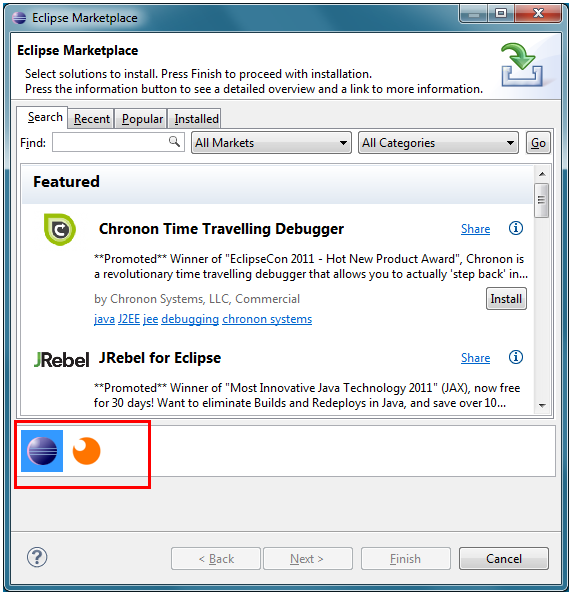 Below are the New & Noteworthy features of MPC 1.1 which was released as part of Indigo. 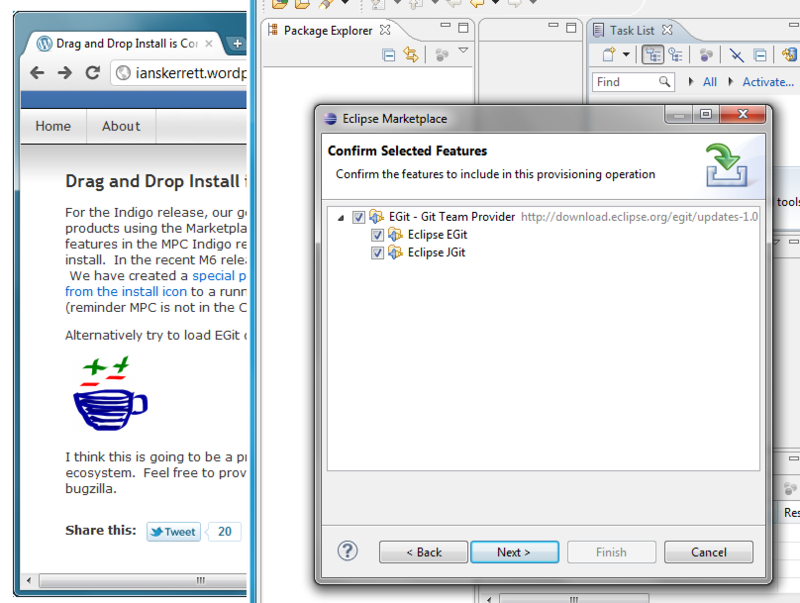 You're now able to drag & drop a link from your web browser to Eclipse in order to start the installation of a solution. 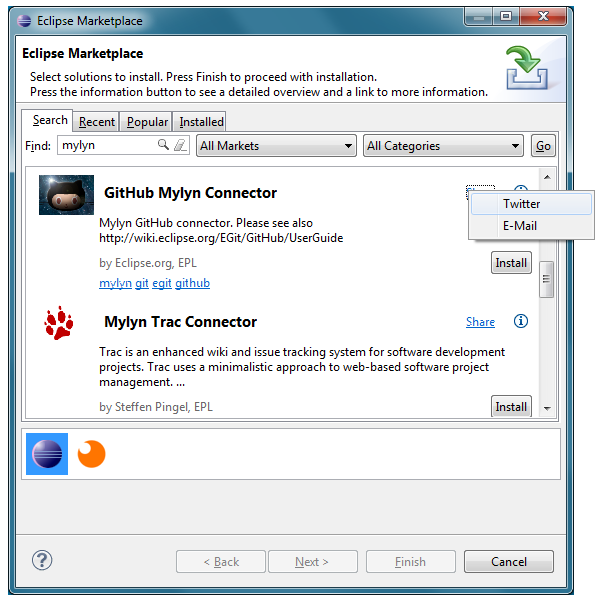 From the installed solutions tab, you can share the solution via email or twitter. At the bottom of the MPC wizard, you now have all available catalogs at your fingertips. Each solutions now provides tags to better find these solutions. In addition, you can easily click a tag to search for this. See also the MPC 1.0 New & Noteworthy.